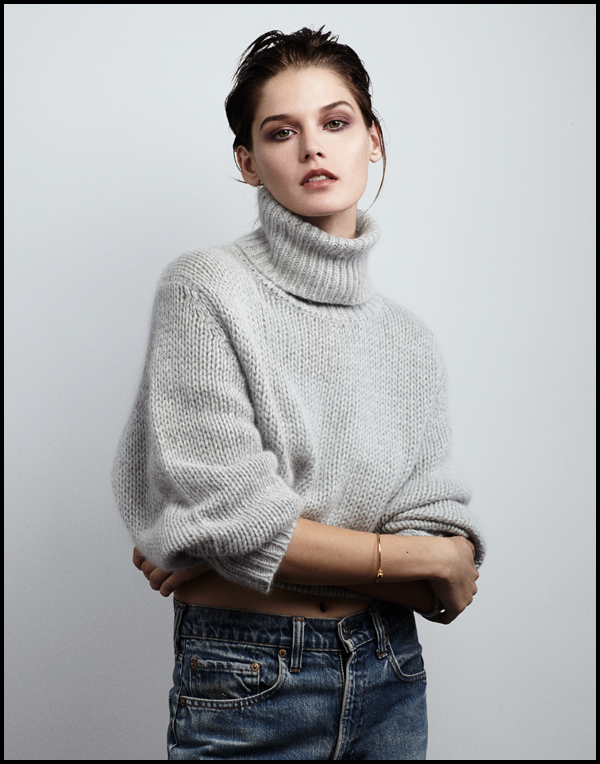 An outtake of Angel in our studio wearing my favorite uniform for a typical chilly day - a chunky warm sweater, an old worn in pair of Levi’s, a simple Céline bracelet and hair pulled back in an easy bun. Credits: Photo by Andrew Stinson, styling by me. More soon.